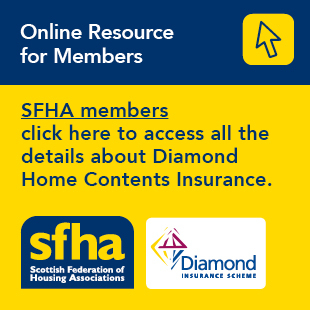 Several SFHA members were named as winners when Scotland’s annual awards for excellence in housing were announced on Friday night at an awards dinner sponsored by Utilita at Double Tree by Hilton in Glasgow. The Team of the Year Award was awarded to North Lanarkshire Council for its Syrian resettlement project, while Campaign of the Year Award went to the Wheatley Group for its ‘People Make Glasgow Fairer – Lets Tackle Poverty Together'. Wheatley Group grabbed a hat-trick of awards, including Regeneration and Developing Skills and Capacity. Apprentice of the year went to Jamie Edwards of West Lothian Council, while Emma McShane of Linstone Housing Association collected the Bob Allan Young Achiever Award. The Leadership Award was awarded to Morag MacDonald of Melville Housing Association. Frank Sweeney, Chief Executive of Cunninghame Housing Association won the Exceptional Contribution by a CIH Member Excellence Award. Other winners included Loreburn Housing Association, Aberdeenshire Council, Glasgow Housing Association, Prospect Community Housing, West Whitlawburn Housing Co-op and Stirling Council. Entries were judged by a panel made up of 40 industry experts, including Keith Anderson of Port of Leith Housing Association, John Forster of Forster Group & Fanchea Kelly of Blackwood. The evening was hosted by Radio Forth’s Arlene Stuart, with entertainment from comedian Des Clarke. Pictured: Winners of the CIH Excellence awards.